The AC has created a range of books, published by Kogan Page, which focus on the coaching industry, best practice, professional tools for development and the steps forward in the advancement of global coaching practices. Our books will be of benefit not just to professional coaches, but managers seeking to develop a global coaching culture in organisations. 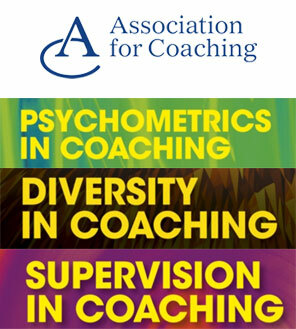 Please also see our DVDs, which cover Grow Coaching, Transpersonal Coaching and Coaching Supervision. Working with Gender, Culture, Race and Age. "Supervision in Coaching, is part of the successful Association for Coaching series (all published by Kogan Page). It examines how coaches can use a range of professional development tools to improve and develop their coaching..."
"The reasons that coaching works so well and can produce such dramatic results are grounded in psychology, so it follows that some of the most powerful coaching methods available draw on psychological thinking..."
"A training guide to help new coaches observe the practices of leading coaches. It is a 1hr 1 to 1 coaching session followed by analysis between the session coach and Jonathan Passmore..."